Ships from and sold by AZ eShop. 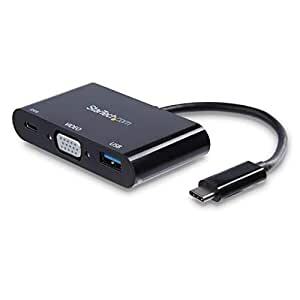 This universal multifunction adapter lets you expand the connectivity of your laptop or MacBook through USB-C. You can connect your laptop to a VGA display, while also connecting a traditional USB 3.0 device. And, when coupled with your laptop’s power adapter, the multiport adapter delivers power to help charge and maintain your laptop’s battery. This compact USB-C adapter is a vital accessory for virtually any USB-C equipped laptop, MacBook, or Chromebook. It’s extremely portable, with a lightweight, small-footprint design that tucks neatly into your laptop bag or carrying case. Because this versatile adapter supports USB Power Delivery, you can power and charge your laptop through its USB Type-C port. 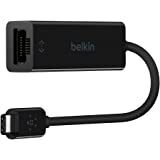 Simply connect the adapter to your laptop’s USB-C port, and then connect your laptop’s power adapter to the multifunction adapter. Unlike some proprietary laptop adapters designed only to work with specific laptop models, this universal adapter works with multiple brands. All you need is a laptop's USB-C port that supports DP alt mode and USB Power Delivery, and you can be up and running quickly. With universal support, you can use this adapter with different laptops now, or in the future. Plus, it’s compatible with Thunderbolt 3 ports. 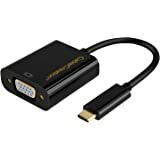 This USB-C to VGA multifunction adapter features a USB 3.0 port that's backward compatible with older USB devices. It’s perfect for data transfers, syncing, or charging your mobile device. The CDP2VGAUACP is backed by a StarTech.com 3-year warranty and free lifetime technical support. 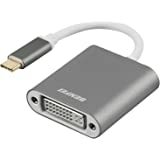 The USB3 connection to my MBPPro 15.4late 18 edition was not smooth and making a good connection requires seating and reseting the connection. 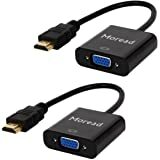 I use this adaptor to allow my desktop monitor connection in my office and each time I 'go on the road' connecting it back up takes effort. Today when connecting it back up, I got no power to the laptop at all and didn't notice it till the batter was all the way down (I have the power connection into the USB3 not he adaptor to free up ports, as designed....). Maybe I just got the apple? It's possible there's more? waiting to be sold. I've been using it for a short time however I noticed a crackling noise when I plugged it into my headphones which let me know there was a bad connection. This adapter works great with my MacBook Pro Air. I had no problems at all using it to connect to a projector! Worked as advertised. Using on an IMac for large screen projection. About a month so far.